take the headache out of 3D! Buy Now! It's the kind of idea you wish you'd come up with, because these things are going to sell like crazy. If you can't stand 3D movies, either because you think they're a silly fad or because they actively give you headaches, relief is on the way. For those of us just want our eyeballs back? 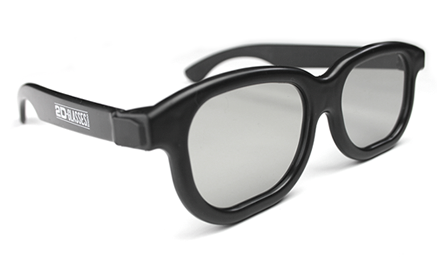 2D Glasses are here, they're real, and they're ready to flatten whatever Hollywood throws at 'em. With many new movies, seeing them without 3D isn't really an option. 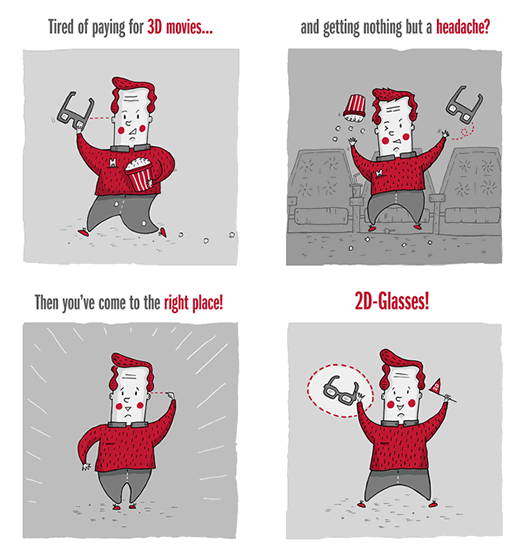 Enter 2D glasses, which strip the 3D out of 3D movies for your viewing pleasure.